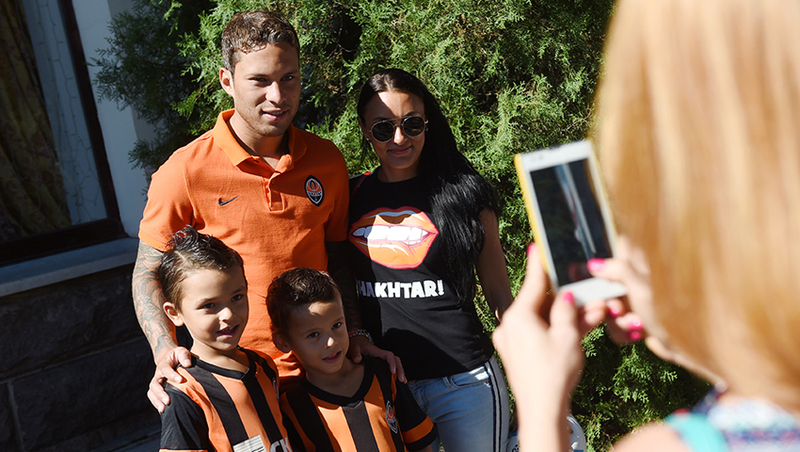 In the morning a large group of fans waited at the entrance of the hotel, where Shakhtar is staying. The fans followed the players during their walk, making numerous selfies. The Pitmen also listened to congratulations on the Miner's Day and the Day of the city of Donetsk. In half an hour the team returned to the hotel. The subsequent plans of the Orange-and-Blacks include a theory lesson, lunch and rest. Let us remind you that the Stal vs Shakhtar will take place on the Meteor stadium. The kick-off time is 7:30 pm. The team will come out onto the field wearing white 'Happy Pitmen's Day!' jerseys. The game will be broadcast live on Futbol 1 TV channel. You can also follow the broadcast or live text commentary online on shakhtar.com.